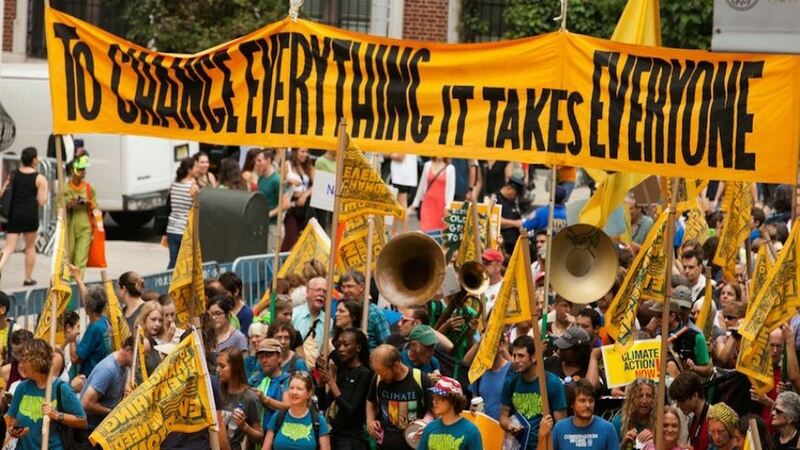 The climate movement needs to change its strategy, forget about persuading everybody, and focus on telling a story. It needs “moral genius”. The trouble isn’t so much that we don’t know enough, but it’s as if we aren’t good enough. The trouble isn’t so much that our scientific genius lags behind, but our moral genius lags behind. The year was 1954. The preacher was Martin Luther King, Jr. Those words would not be out of place were he alive today addressing the climate movement. A recent Earth Day campaign had a few people wondering if the campaign had been, “…infiltrated by a coal or oil company insider?” The campaign asked people to create and share memes stating that climate change is real. The question was tongue in cheek, but the answer is a reluctant “yes” — the Big Polluters have infiltrated the climate movement. It’s an insidious infiltration — it’s the “debate” about science. 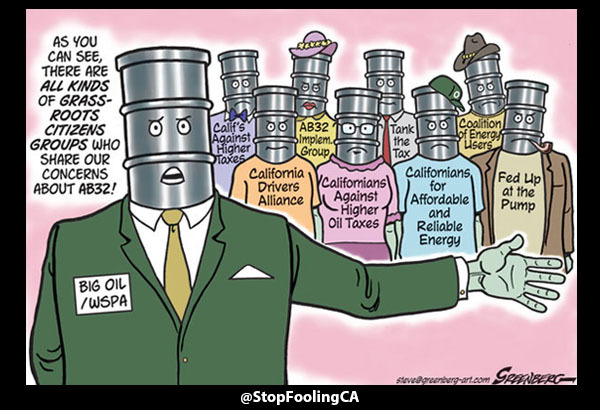 The Big Polluters and their messengers go to great lengths to discredit the science. They say ridiculous things and climate advocates can’t help but respond. They feel the need to correct the record thinking that the facts will speak for themselves. It’s a trap laid by the polluters who have no interest in being right, they simply want to distract their opponents — the climate movement. The climate movement argues the facts while the polluters tell a story that people can understand — however untrue. The strategy is working and it’s keeping them in business. The polluter business model is simple. They have to burn the oil, coal, and gas in their reserves, and replace more than they burn. Do that, and shareholders are happy. But the business model faces an existential threat: clean energy. If we are to avoid dangerous global warming we have to switch to clean energy and polluters are going to have to leave 80 percent of what they own now in the ground. It also means no new dirty energy. Faced with this threat, polluters like Chevron, ExxonMobil, and Saudi Aramco (the three biggest polluters) are doubling down and banking on world leaders doing nothing to stop them. That’s why Shell is on its way to sink drills into the Arctic. The Big Polluters are going to new lengths to find more oil, coal, and gas. Here, deep sea drilling off the coast of Brazil, tar sands in Canada, and Shell’s new rig on its way to the Arctic. Their strategy is working. They have distracted enough climate advocates into debating the science and created ample doubt in the minds of the public to deter governments from capping pollution and backing clean energy. Stalling governments. Simple business model. Simple strategy. Attacking science is fertile ground for companies with big pockets. When smoking was linked to cancer, Big Tobacco and its shills attacked the science. When secondhand smoke was linked to cancer Big Tobacco went at the science again. Acid rain, CFCs causing the hole in the ozone layer, and the idea of nuclear winter have all come under attack by entrenched interests. The messengers are the same every time. When they perceive a threat to the “free market” people like Fred Singer and groups like The Heartland Institute go through their routine: create front groups, produce shonky “research”, and feed the conservative and mainstream media with their lies. On cue, advocates feel compelled to correct the record. There are three reasons this is a bad idea. First, the mistake the environment movement makes over and over is that they think the facts speak for themselves. We begin to wonder if it is due to the fact that we don’t know enough. But it can’t be that. Because in terms of accumulated knowledge we know more today than men have known in any period of human history. We have the facts at our disposal. We know more about mathematics, about science, about social science, and philosophy than we’ve ever known in any period of the world’s history. So it can’t be because we don’t know enough. And then we wonder if it is due to the fact that our scientific genius lags behind. That is, if we have not made enough progress scientifically. Well then, it can’t be that. For our scientific progress over the past years has been amazing. The facts aren’t going to set us free. People reject facts if they don’t like them. They see them through their own filter. Using facts, rational argument, and “education” is only effective if they are framed properly — that is, if they tap into the values of the listener and are put in a moral context. If you’re a conservative, the more educated you are the less likely you are to see climate change as a problem. Put another way, if you have more information (facts), and are able to understand it, the less likely you are to believe climate change is happening. The polluters and their friends frame their communication to appeal to conservative values: man above nature; nature provides profits; profits come to good, moral people. Their “facts” fit this worldview. 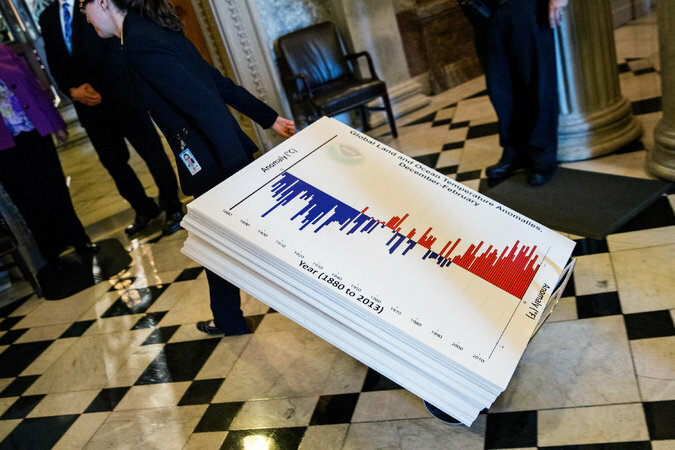 Last year the Senate Democrats — armed with binders, charts, and graphs — spent five hours airing Republican talking points and refuting them one by one. Pretty good airtime if you’re a polluter. Second, we don’t need to convince everyone. Roughly one-quarter of people in the U.S. hold an extreme conservative worldview — that means they can’t be persuaded to think climate change is real and people are causing it. A large part of the population hold both conservative and progressive worldviews and can be persuaded either way (often erroneously called the “center”). For example, someone who supports American military interventions overseas but also thinks we should increase the minimum wage. That’s who the climate movement needs to persuade. The movement needs to get past this idea that “the issue of climate change is far too large to be addressed without a near total commitment across society.” Civil rights victories in the 1960s weren’t won by persuading 100 percent of the people. Neither was net neutrality more recently. Third, the polluters, lobbyists, and shills have a sophisticated approach that goes beyond “climate change isn’t happening”. It has largely moved on to “we’re not sure humans are causing it” and “it won’t be as bad as people say.” A recent vote in the U.S. Senate makes this shift clear. Still, parts of the climate movement — like the Earth Day “Climate change is real” campaign — are focused refuting the extreme argument that global warming isn’t happening. Forget about the 25–30% of extreme conservatives who are never going to believe in global warming despite how much information they are given. Focus on the people who accept it’s happening and mobilize them. Preach to the choir. Don’t frame your communication on conservative ground. Appeal to higher values and a moral cause rather than focusing on details. 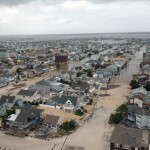 Talk about the impacts of global warming that are being felt now and people can see with their own eyes. The Big Polluter’s product is wrecking people’s lungs, poisoning our water by fracking, and making droughts, wildfires, and hurricanes worse. Show people something to fight for, not just against. Energy provided by the sun, wind, and waves that’s cheap, clean, and safe. Freedom, fairness, and well-being. Attack the polluters and their messengers. The same people that worked for Big Tobacco and denied the link between smoking and lung cancer are on the books of the Big Polluters. They didn’t care when people got cancer, and they don’t care that our soil, water, and air is being poisoned. Destroy the credibility of the messenger and the message becomes useless. Finally, wrap all of this up in a story that says something about the world we live in, where we need to go, and who is stopping us from getting there. 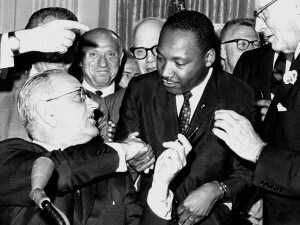 A decade after King addressed churchgoers in Detroit, the Civil Rights Act of 1964 became law. King wasn’t concerned about offending people in the South and calling out “its vicious racists”. 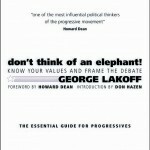 Victories were achieved not by convincing everybody not to be racist, but through the “moral genius” of the movement. The climate movement needs the same moral genius.